Apply science concepts to real-life scenarios on the dairy farm through this interactive, engaging lesson series. 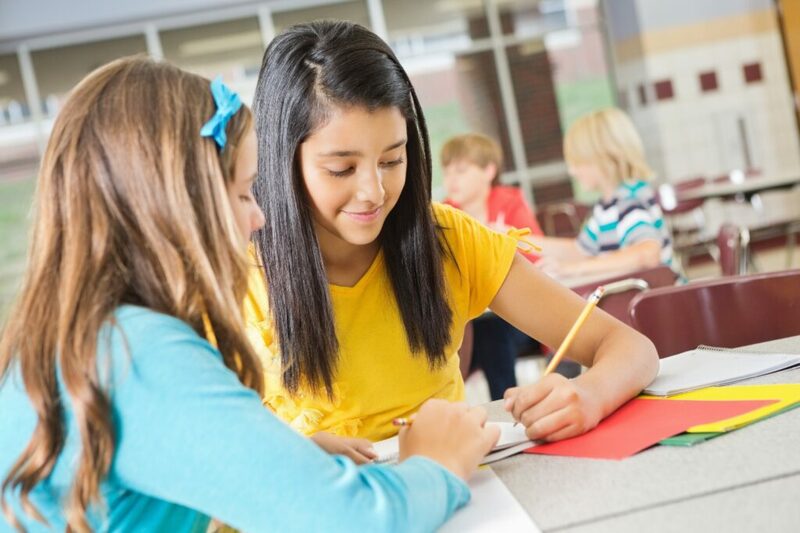 Discover Dairy features four two-part lesson plans for middle school level students, with each lesson designed to take about 50 minutes of classroom time, plus two optional 30-minute lab opportunities to reinforce concepts learned. Lessons tie into Common CORE and STEM standards for math, science and reading and address concepts such as selective breeding, balanced diets, food safety and chemistry, recycling nutrients, natural and capital resources, and the economy. The elementary Discover Dairy Lessons are listed below. Each lesson incorporates a variety of STEM and Common Core standards while using various education techniques. To view the lesson, click the link . In today’s times, farmers have been able to increase milk production without compromising food quality. This lesson reinforces the nutrition and technology that play a role in milk production, including genetic selection. Safety is a crucial part of our food supply. This lesson demonstrates how milk is produced with safety and quality in mind. Also, students will learn how milk can be made into various dairy products. Besides milk, dairy farms are large producers of energy. This lesson reinforces how important our environment is, while showing students how farmers take natural resources and turn them into capital resources while caring for the environment. Milk doesn’t just affect our health and nutrition, but it also affects our economy. This lesson reinforces how money flows through a community, while showing students how farmers support the local economy through producing a product and supporting local businesses. Additional enrichment opportunities include a Children’s Literature List, the “Adopt A Cow” year-long program and dairy-focused computer games to reinforce concepts. You can also ask Discover Dairy questions at our “Contact Us” page.